It is very important for pet owners to try to maintain the ideal temperature and lighting conditions for their Russian tortoises. 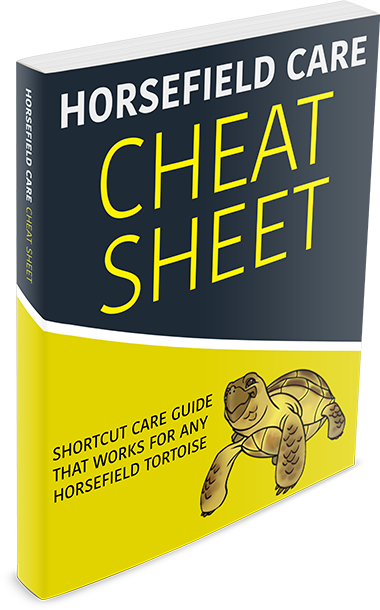 When doing their research, they should make sure that they find information that specifically applies to Russian tortoises, which are also identified as Horsefield’s tortoises. Different types of tortoises will vary in terms of their temperature and lighting requirements. Cold-blooded animals in general are sensitive to temperature changes, which is why pet owners that look after tortoises need to be so careful. Tortoises also have very high calcium requirements, like all animals that have shells. Animals need vitamin D in order to properly absorb calcium. Without adequate sunlight or UVA and UVB radiation, tortoises will suffer deficiencies in vitamin D and, subsequently, deficiencies in calcium. They may eventually develop soft shells as a result, along with a number of other problems. Ideal heating and lighting conditions are not negotiable with tortoises. Tortoises should spend half of their days in well-lit conditions, and half of their days in dark conditions. Twelve to fourteen hours of light each day should help tortoises meet their needs. Ideally, tortoises should get plenty of sunlight. Sunlight is ultimately going to provide the best combination of illumination and UVA and UVB radiation. However, pet owners in certain climates may not have the option to take their tortoises outside regularly during certain parts of the year. When it comes to lighting a tortoise’s pen, it isn’t true that any lighting equipment will do: UVB and UVA light is necessary for tortoises. Reptisum 5.0 fluorescent tubes can give tortoises the UVA and UVB light that they need. Incandescent lamps can supply the rest of a tortoise’s lighting needs. If pet owners are looking for lighting equipment that supplies UVA and UVB and that will also generate the necessary heat levels, mercury vapor bulbs will do the trick. Ceramic heat emitters can also act as heat sources for tortoise habitats. Maintaining the right heating conditions during the nighttime hours may require a switch in equipment. Ceramic emitters provide heat but no illumination. Questions about the ideal temperatures for Horsefield’s tortoises are complicated, since tortoises require different temperature conditions at different times. Pet owners will need to invest in an accurate thermometer when they get their tortoises. They should never try to estimate the temperature conditions in which their tortoises are living. Room temperature levels are not standard, of course, and some houses will tend to be warmer than others. Thermometers placed close enough to the tortoise habitats will help pet owners get the correct readings. Whether or not tortoises should be kept outdoors is largely a function of the outdoor temperatures. Pet owners should keep an eye on outdoor temperatures, particularly if they live in temperate climates that are prone to temperature fluctuations. One of the reasons it’s generally a good idea to give pet tortoises both indoor and outdoor habitats is that it’s easier to make sure that tortoises experience the right temperature ranges that way. When it gets too hot or cold outside, the tortoises can be moved indoors to a temperature controlled environment, where they can live in ideal conditions. While setting up habitats for their Horsefield’s tortoises, pet owners should be trying to simulate the conditions of their tortoises’ natural habitats as much as possible. Arid climates are known for cooling off a lot at night, and they are known for particularly hot conditions are certain points during the day and in certain places. Pet owners need to create similar living environments for their tortoises. Tortoises need to bask, and basking requires a certain temperature range. Temperatures of between 90 to 95 degrees Fahrenheit will allow Horsefield’s tortoises to bask comfortably. After nightfall, tortoises should be kept in cooler temperatures. Temperatures of around 60 to 65 degrees Fahrenheit or slightly over should provide tortoises with the right nighttime temperatures. Setting up and installing a Russian tortoise’s indoor habitat requires placing the light and heat sources in the right areas. The equipment necessary to maintain the ideal temperature and lighting conditions for tortoises will depend upon the nature of the tortoise habitats. Pet owners need to make sure that their heating and lighting equipment is adequate, given the size and dimensions of their tortoise habitats. Pet owners can control the temperature of their tortoises’ basking areas by placing the lamps over them. They can turn the lamps on and check the surrounding temperature levels to confirm that the lamps are adequately heating the area. The heat sources should be located at one side of the tortoise’s housing area. The other side should essentially stay at room temperature. With a setup like this, tortoises can more or less experience a range of temperatures, which they need for optimal health. Some owners may worry that it will be difficult to maintain a temperature balance like this, but if the Russian tortoise habitat is wide enough, it shouldn’t be a problem. They can test the temperature at the other half of the tortoise habitats as well, thus confirming that that half has a temperature of around 72 degrees Fahrenheit. Ultimately, pet owners should keep an eye on their tortoises and monitor their behavior. Tortoises that aren’t getting enough heat and light will show signs of it. Pet owners that interact with their pets will be able to catch problems and address them that much more easily. Maintaining the right lighting and heating conditions for tortoises can be easier than it sounds.